Vernazza, Italy is a gem nearly hidden from the rest of the world. I fell in love with the village when I stayed there in 2007 for three glorious days. That experience inspired this novel. To order a book, click here. Ella Walker is a young woman from a good family who loves her nursing career caring for infants in the Neonatal Intensive Care Unit at a large San Francisco hospital. When tragic events occur at both work and home, Ella puts her faith in her best friend, Tara Collins, who loves her enough to tell her the truth, while creating a way to help her reclaim her life. With Tara by her side, Ella embarks on a journey of self-discovery in Italy where she begins to heal her fractured body and soul, and comes to terms with her past--while grappling with her future. When Tara and Ella's vacation ends, Ella makes a surprise decision to stay--all alone--for two more weeks in an enchanted place called the Cinque Terre in northwestern Italy. She settles in Vernazza--a quiet village that weaves some powerful magic--and Ella awakens to her heart's desire. When she returns home, it isn't long before the messiness of life intervenes, and Ella soon finds her world upside down once again. She must look deeply within herself to confront her fears and desires as she struggles to hold on to her dreams that were born in Vernazza. In 2013, my friend Lydia Tuveson visited Italy and checked on Vernazza for me. If you read my novel, each of the top photos will have a special meaning for you. July, 2015. Lydia visited Vernazza again and sent the three bottom pictures. The village is recovering beautifully from the tragic flood of 2011. Thanks, Lydia! When my dear friend, Cori Crismon from the HHDW book club in Los Alamitos asked me to join her group to discuss The Vernazza Effect, I hopped on a jet and headed south. As a new author, I didn't know what to expect. 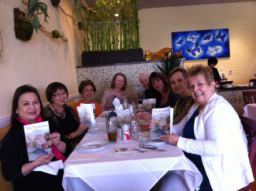 Hearing comments about my novel was insightful, lunch was delicious and the women welcomed me with open arms. 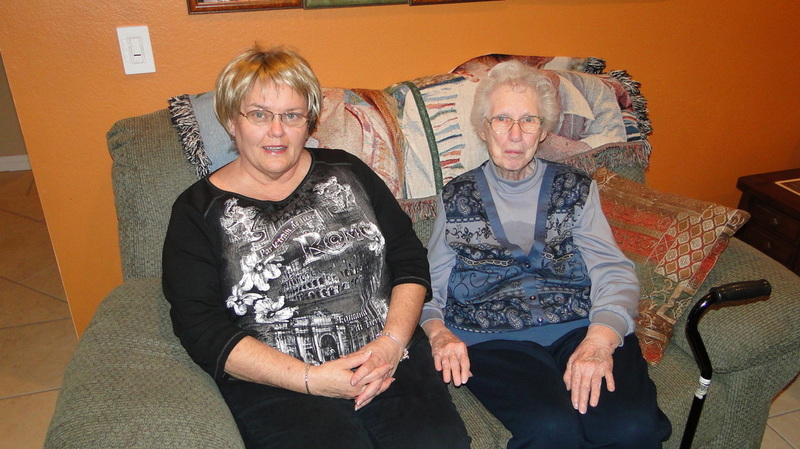 These ladies read books together, but they've also have helped each other along life's journey for ten years. It was a privilege to be part of their private world for one amazing afternoon. 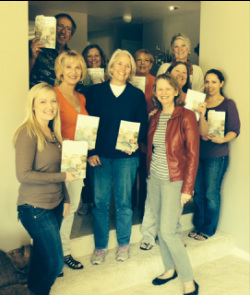 CJ hosted a book club discussion at her beautiful home in Santa Rosa. Thank you ladies for reading my novel and for sharing your feedback. As I drove home, I reflected on our conversations. What I enjoyed most was hearing how everyone filled their days. Whether it was managing a 40-acre ranch, building a new life following a divorce, joining a writing group to pen a memoir or signing a new contract for work, each of us is following our dreams. Thank you for a lovely evening, and a big shout-out to CJ for hosting the enjoyable affair. My good friends Margie and Beejay hosted a book signing party to celebrate The Vernazza Effect. This picture was taken in Margie and Larry’s beautiful back yard in Bel Marin Keys. What an evening! Wonderful conversations, friends catching up, great munchies and Jean Luc’s wine. After we moved into the house for a book discussion, I felt such gratitude as I glanced at the sea of faces. A woman I didn’t know asked what my novel was about and, instead of answering her, I asked people in the room who had read the book to respond. Listening to other people interpret my work touched me at a deep level. The Native Americans say that a story stalks a writer, and if it finds you worthy, it comes to live in your heart. The author’s responsibility is to give that story a voice. Ella’s story stalked me and, after tonight’s discussion, I felt worthy to have given it a voice. In 2005, as Andy and I left Southern California to make our home in Novato, neither of us knew what to expect. We still never take for granted our luck at landing in such a special place surrounded by gracious people and indescribable beauty. A woman whom I met at a Writer’s Conference wrote this about The Vernazza Effect. “In the end, our human desire for deep connection and the healing power of love provide the story’s real center.” Tonight I felt that deep connection with my family and friends, and I thank Margie and Beejay for giving me such a heartfelt evening. What a fun afternoon! I was the guest speaker at the Margaret Todd Senior Center's monthly luncheon. 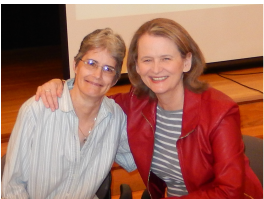 My friend, Deb, joined me on stage. She is the gifted artist that created the beautiful watercolor painting that was used for The Vernazza Effect's cover. 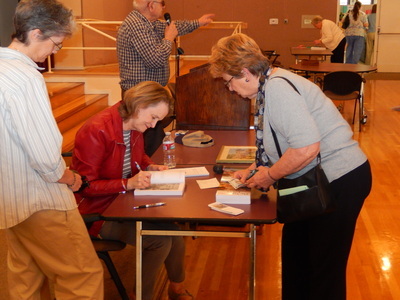 I gave a 20-minute presentation about my writing process, then answered a few questions and signed some books. 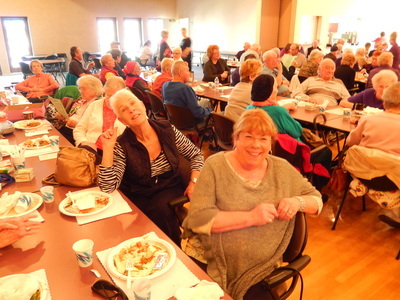 As a bonus, my wonderful neighbors Colleen and Sandy attended the luncheon so I'd have some familiar faces in the audience. Am I a lucky girl or what? 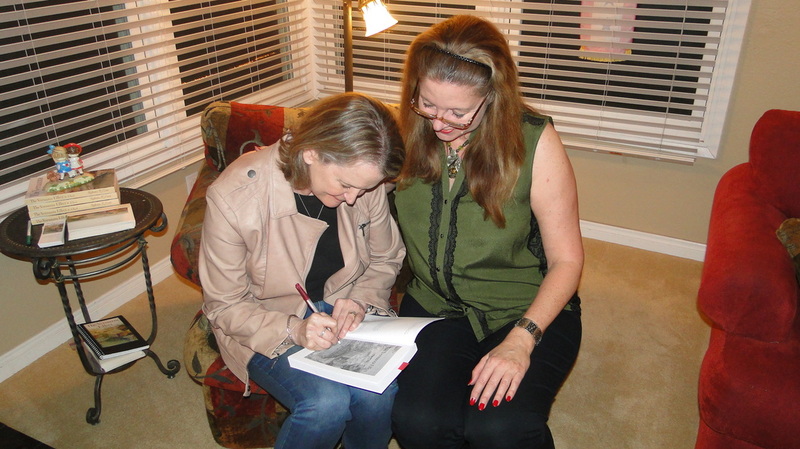 Debbi and Rick hosted a book signing party at their home. Deb prepared perfect antipasti: crackers, cheese, meats, artichoke dip and olives, and at least eight bottles of Italian beverages sat next to a full ice bucket. A video from our 2007 Italy spa vacation played silently on their TV while candles flickered all around the house. Debbi displayed pictures from our times together: weddings, cheerleader days, travel adventures, class reunions. Rick won an argument and picked up the pizza himself instead of having it delivered. Personally, I think he needed a quiet moment. The Kightlinger home soon filled with an eclectic bunch of guests: a few folks from one of Debbi’s book clubs, her mom, daughter and granddaughter, Rick’s mom and sister, fellow teachers from Bell Gardens High School and some of Debbi and Rick’s closest friends. 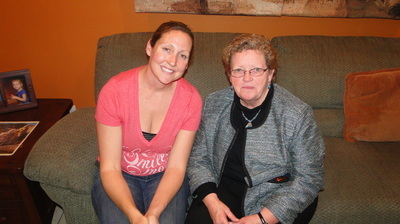 Debbi’s mother, Barbara, was like a second mom to me while growing up, so it was especially nice to spend time with her. During the book discussion, guests asked thoughtful questions about my novel and writing process. After everyone left, Debbi and I shared a few quiet minutes before I headed upstairs to sleep. I'm so grateful for her friendship and for this enjoyable evening! 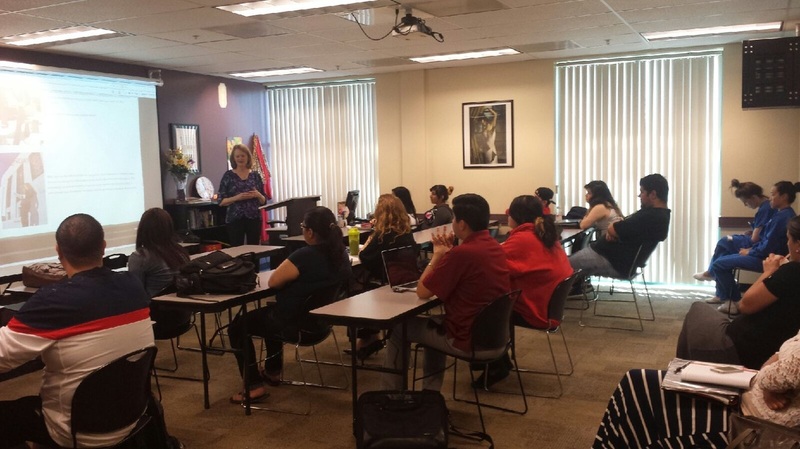 Thank you Orange County book club! Debbi, Monika, Charlotte, Teri, Pam, Kristi, Irmagaard and Georgia. It was a pleasure meeting you ladies! I savored your energy, questions, laughter, stories and especially enjoyed the enlightening book discussion. Your unique humor, personal stories, and polka dance rounded out a perfect evening. 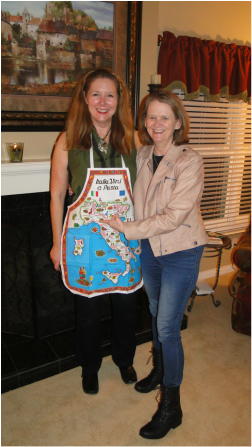 Thanks for welcoming me into your circle, and a big shout-out to Debbi for preparing a beautiful table filled with homemade lasagna, salad, grilled asparagus, gelato and all the wine we wanted. Until next time (get ready for Alexander). Cheryl hosted a party at her beautiful hillside home in Whittier. This was really a Kaiser Permanente reunion, and we had a fun walk down memory lane. Kay guided so many careers, mine included, and she’s still our glue. 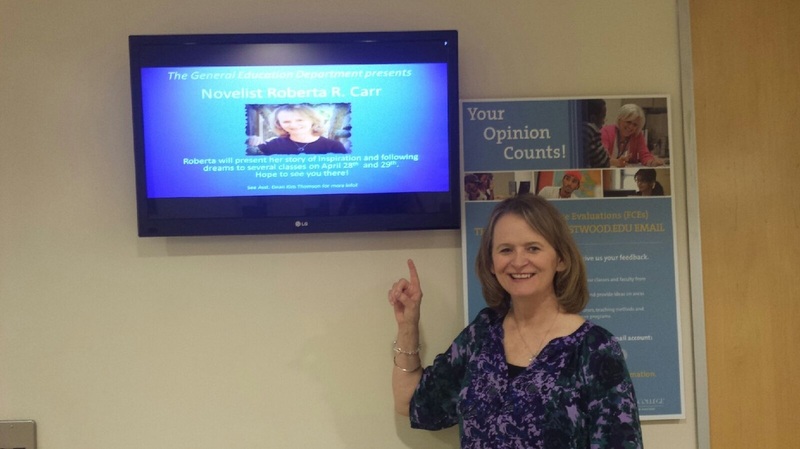 Roxie’s smile warmed the room, and Bob and I kidded each like we’ve done for over 30 years. Cheryl T. co-wrote an amazing book with her husband, and it was fun comparing notes and sharing tidbits about the writing process. Connie was a secretary when we first met, now she’s the director of the plastic surgery department. 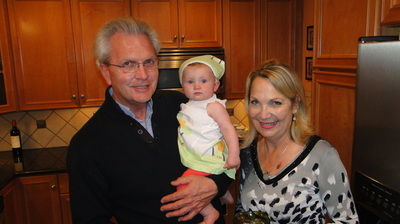 Therese and I were partners in crime for many KP projects, and what a special treat it was to meet, Lauren. I remember when Cheryl’s mom, Mary, drove her motorhome to the Member Services office so Cheryl could feed her baby. Now Kathryn is 30, and a second-generation KP employee. Cheryl’s daughter, Kristen, is an administrator at a high school, and the proud mother of two lovely daughters. I so enjoyed talking with them, marveling at what beautiful women they have become. Where did time go? 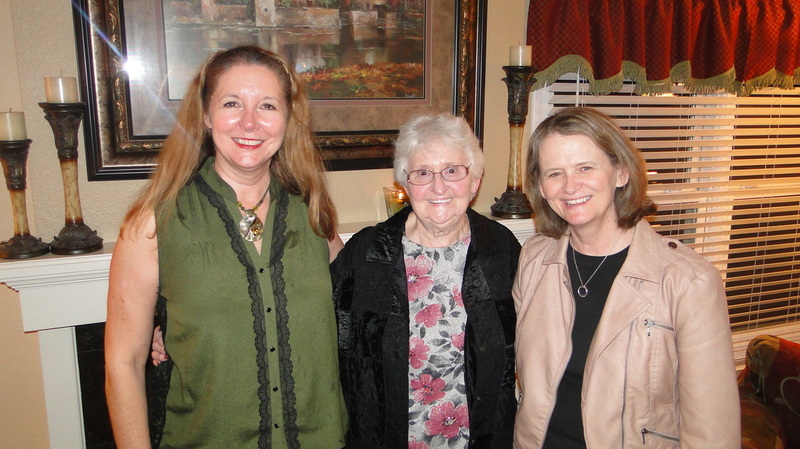 My daughter, Kim hosted a book discussion party at her home in Anaheim. Thank you Gaye, Camille, Jenny, Rob, Cyndi, Debbi, & Katie for your support, and insightful discussion! Kim is the academic dean at Westwood College, and she arranged for me to meet with students as a guest author. I spoke to four different groups over two days. I was impressed by their dedication to improve their lives, and they asked such thoughtful questions. The Vernazza Effect encourages readers to follow their dreams, and this audience was a living example. My favorite part was at the end of each session where Kim and I revealed our relationship, and shared insights about our journey as mother and daughter. We had a mutual admiration thing going on! September 30, 2014 - Anyone ordering The Vernazza Effect after today will receive a new version. What does this mean? After publishing The Foundation, I took some time to reflect on my first novel, and decided I could do better. I've learned so much by writing two novels, attending conferences, reading books and soaking in feedback. I wanted to apply all that learning to improve The Vernazza Effect. The story and characters remain the same, but I enhanced the writing. I'm so grateful to the many readers who have shared observations with me, allowing me to continuously improve my work. 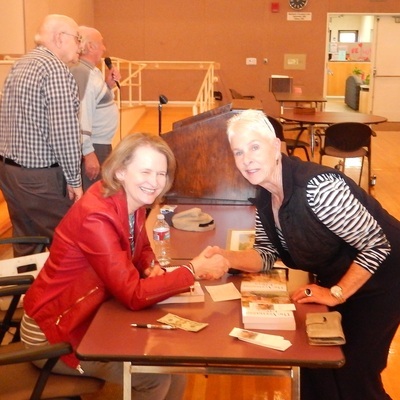 Thanks to Rita for asking me to attend her book club to discuss my novel, The Vernazza Effect. I enjoyed making some new friends! Talking about Vernazza with others who had traveled to that magical village, triggered a nice trip down memory lane. A big shout out to Lynne for hosting the gathering at her beautiful home, and for providing gelato and other Italian delicacies to munch on. 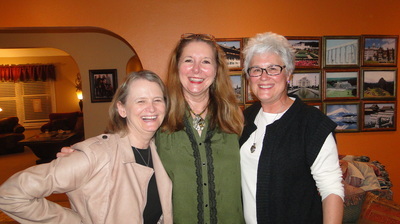 Meeting fun-loving, dedicated teachers + good discussions about life + yummy Italian food = one fabulous evening! Thanks for inviting me to your book club to discuss The Vernazza Effect. I hope you ladies keep meeting for the next ten years! July 18, 2017 - Several months ago, my friend Debbi Kightlinger joined her third book club. 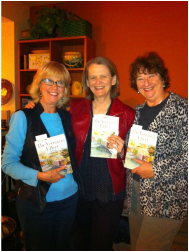 When it was her time to host a gathering, she chose The Vernazza Effect as the book of the month. Debbi outdid herself by serving another Italian feast including homemade pasta sauce. She told me that Ella's courage and strength inspired the readers. Thanks for the support, ladies! I look forward to meeting you one day!